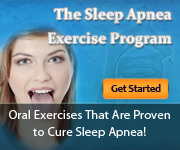 I’m going to let you in on a little secret: there’s a really quick way to lose a lot of weight – and get rid of your sleep apnea for good! Okay, you already know the method – I told you in the title of this lesson! Joking aside, gastric bypass surgery is a real option for some people. But there are considerable risks, along with benefits. Matt G. did it (his case study is profiled in my book), and he has some words of advice for anyone thinking about undergoing this type of procedure. But first, a few words about what gastric bypass surgery is. Gastric bypass surgery is used to treat morbid obesity – in other words, obesity that leads to disease. During a gastric bypass operation, your stomach is divided into two “pouches” – a small upper pouch, and a much larger, lower “remnant” pouch. The surgeon then re-arranges your small intestine to allow both pouches to stay connected to it. Gastric bypass surgery leads to a large reduction in the volume of the stomach. It also changes your physiological and psychological response to food. The weight loss that results from this surgery is usually dramatic, and can cure sleep apnea completely. Matt G. lives in Virginia, U.S.A., and was first diagnosed with sleep apnea in 1999 at the age of 44. Initially a CPAP was prescribed for his apnea, but Matt found it impossible to use, even after 3 months of trying. He found the mask uncomfortable and unnatural. Turning over in bed, and having his movements restricted by the hose made it worse. Matt’s self image of wearing the mask and hose was that of an “elephant man”. Talking while wearing the mask was impossible, and it drastically hindered any romance! Matt had been fighting a weight problem his whole life. He alternated diets, temporarily losing weight only to gain it back. After struggling with his CPAP for 3 months, Matt discussed alternative options with his doctor. His doctor recommended gastric bypass surgery. The bypass surgery greatly reduced Matt’s food intake. His initial diet consisted of mush but Matt said he could tolerate it. Later on, he found that certain foods like beets (!) created a problem to swallow. Matt quickly lost weight, shedding 100 lbs. in six months. Somewhere in the middle of that 100 lb. loss, Matt discovered that symptoms of his apnea disappeared.